A news that will glad you the most if you live in US and making a plan to buy a new iPhone. 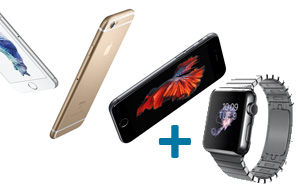 Apple has just started a new limited time in-store offer for its customers. Apple is giving $50 off an Apple Watch Sport or Apple Watch if you purchase it with the purchase of any new iPhone, including the latest iPhone 6s and iPhone 6s Plus. The American company confirmed this last night with a famous website. Customers will be able to get the discount on the Apple Watch Sport and Apple Watch in any size, color or strap combination. Unfortunately this offer is not available for "Apple Watch Edition" and "Apple Watch Hermès". Then again, you need not to look for $50 off if you are purchasing either of those variants of Apple Watch. The discount is available in selected Apple Stores in the states of California and Massachusetts, including Burlingame, Chestnut Street, Corte Madera, Hillsdale, San Francisco and Stonestown in the Bay Area, and Boylston Street, Burlington, CambridgeSide and Chestnut Hill in the Boston metro area. It is not available online. 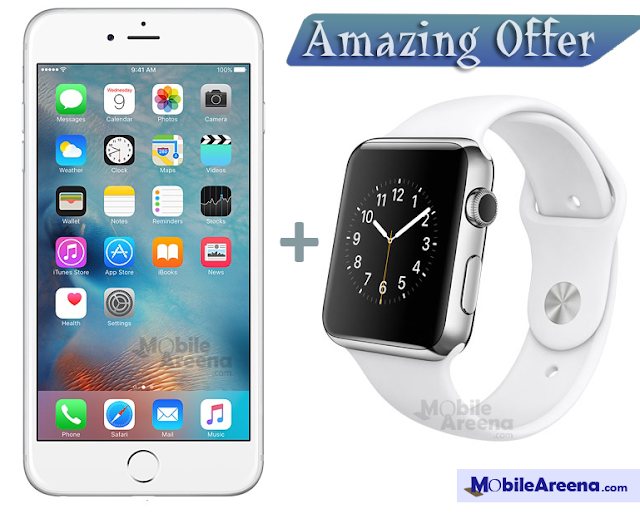 The promotion is available on purchase of any iPhone model till November 30, 2015.